Apollos Hegemony L-theanine & Inositol is a dietary supplement providing 200 mg of L-theanine and 100 mg of inositol in each capsule. Thanks to optimal proportions of both ingredients, it allows to derive the fullness of benefits resulting both from autonomous effect of each ingredient and synergistic effect of both substances. The supplement will work well mainly as support for all people prone to stress in their daily lives. It increases the ability of the organism to tolerate stress stimuli, has relaxing and calming effect, regulates the level of cortisol and improves sleep quality. Importantly, these benefits are achieved without the effect of sleepiness, characteristic to similar products. The product also facilitates concentration and memorization. Due to high effectiveness of active substances and safety of use even in high doses, it is recommended both as support of a daily lifestyle and in the therapy of such ailments as the polycystic ovary syndrome, posttraumatic stress disorder or premenstrual syndrome. L-theanine is an amino acid naturally occurring in different variations of teas, especially in green tea. It belongs to the group of basic 20 protein amino acids, it is structurally similar to glutamine, gamma-aminobutyric acid and tryptophan. Despite its strong influence on the functioning of the nervous system and the ability to cross blood-brain barrier, the research proves safety of using the doses even of a few grams. Theanine is known mainly for its considerable calming properties. It introduces in the state of relaxation, increases stress tolerance, limits anxiety states. In the functioning of the organism it is reflected in decreased cortisol level and proper course of all metabolic processes, the enemy of which is excessively high level of the stress hormone. Regular supplementation with theanine also positively influences the quality of sleep. Despite these numerous calming properties, supplementation with theanine is not reflected in the increased need for sleep. It allows to achieve full mental and physical efficiency thanks to eliminating stress factors, contrary to other supplements of this kind, which along with calming effect also cause sleepiness. 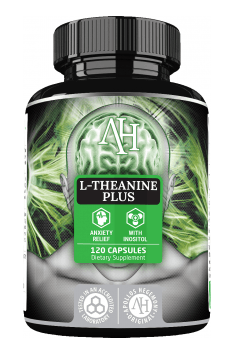 L-theanine considerably facilitates learning, not only by reducing stress factors, but also thanks to the ability to introduce the brain in the state of increased attention and concentration. Supplementation with theanine increases the activity of the brain around alpha brainwaves, considered to be responsible for increased mental functions. It was also proven that l-theanine facilitates memorization. Taking into consideration the above properties of theanine, it constitutes a perfect supplement in the periods of preparations for exams. It reduces stress related to the exams, allowing to focus on studying and increases the acquisition of the material by stimulating cognitive functions. Thanks to the ability to regulate nitric oxide synthesis, l-theanine also affects the functioning of the circulatory system. It increases the lumen of blood vessels at the same time lowering blood pressure and pulse. It also increases the transport of oxygen to the brain, which is another mechanism supporting its functioning. L-theanine is able to reduce stress also on the cellular level. It naturally increases the concentration of glutathione, a compound considered as one of the strongest antioxidants. Theanine also constitutes a great additive to caffeine supplementation. It allows to get rid of the effect of irritation, inhibiting concentration and also it prolongs the time of its activity. This combination will work well not only for people sensitive to the effect of caffeine, but also for everyone who wants to derive all the benefits from the supplementation with these substances – studies show that simultaneous application of caffeine and theanine in the proportions 1:2 exhibits the highest effectiveness in improving cognitive abilities. Inositol is a cyclical polyhydroxy alcohol, in supplementation occurring in the form of stereoisomer called myo-inositol. It is called vitamin B8, although this name is questionable – the organism is able to synthesize it on its own, using the bacteria inhabiting intestinal microflora, which technically excludes inositol from the group of vitamins. The largest benefits from the effect of inositol are noted in the area of mental health. It has the ability to reduce panic attacks, anxiety states, mood fluctuations, increases stress tolerance and has antidepressant effect. Its activity is so strong that it is successfully used as support in the therapy of such diseases as obsessive-compulsive disorders, posttraumatic stress disorder, bipolar disorder or schizophrenia. It also constitutes support for women dealing with premenstrual symptoms, considerably alleviating the symptoms. Inositol constitutes a precursor of signaling molecules, influencing the activity of insulin receptors. In this way it exhibits the ability to regulate sugar level in blood by regulating glucose uptake on the cellular level. It also stimulates metabolic processes of carbohydrates in the organism. Regulating emotional functions and increasing insulin sensitivity makes inositol a supplement perfectly adjusted to the needs of women suffering from the disease called polycystic ovary syndrome. Moreover, it also has the ability to regulate menstrual cycle (which is reflected in the increased fertility in women supplementing inositol), which constitutes another desirable effect in PCOS therapy. Research on women suffering from polycystic ovary syndrome proves also that inositol helps to regulate lipid profile and increases the amount of adiponectin, positively influencing metabolism of sugars and fatty acids. Scientific works prove that inositol may lower the incidence rate of cancer diseases. Special effectiveness of the supplement is proven in lung cancer prophylaxis. The properties of inositol and theanine are perfectly complementary in the field of taking care of mental health. These substances, by working synergistically, allow to achieve the state of calm and relaxation and at the same time maximal mental efficiency. The supplement will work well both for people suffering from various mental disorders related to depression, anxiety and panic attacks, but also for everyone exposed to increased mental and emotional burden. L-theanine & Inositol are two active substances, considerably influencing the functioning of the brain. The selection of the amounts present in the supplement guarantees the highest effectiveness, both in the autonomous effect of each of the compounds and synergistic influence on the organism. The renowned producer provides a guarantee of the highest quality of the ingredients.